ISE (Intercultural Student Experiences) provides educational travel in China through short-term programs in various cities in China, also offering a home-stay option. 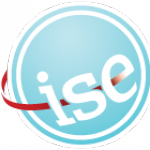 What is the ISE difference? True immersion through a family stay. We place one student per family to ensure a deeply immersive experience. Host families are volunteers who are excited to share their daily lives and interests with a young person from another country, and are curious about other cultures. Students often describe the family stay as their favorite part of the program. High-quality travel programs that bring language to life. ISE programs are paced so that students have time to engage with and absorb the culture. Itineraries are abundant with opportunities to engage with native speakers, from guided tours to artisanal workshops to school visits. Guided programs are available in addition to itineraries that are led by the teachers themselves. Custom programs are designed to fit every budget and dream itinerary. Each year ISE provide approximately $50,000 in financial aid to student travelers whose annual household incomes are $50,000 or less. Find out more if you qualify.